This DVD contains TV news footage from Anglia Television's vast news library on the subject of Offshore Radio. These are all the news inserts mainly from About Anglia shot by the Anglia News teams during the 1960s. 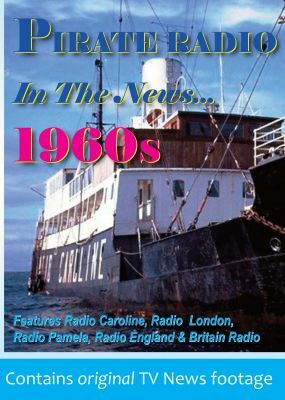 You'll see Radio Caroline off Felixstowe in 1964 with Simon Dee, Radio Pamela, Radio England and Britain Radio, and news about the pirates closedown in August 1967. The In The News series is a must for all offshore radio fans.